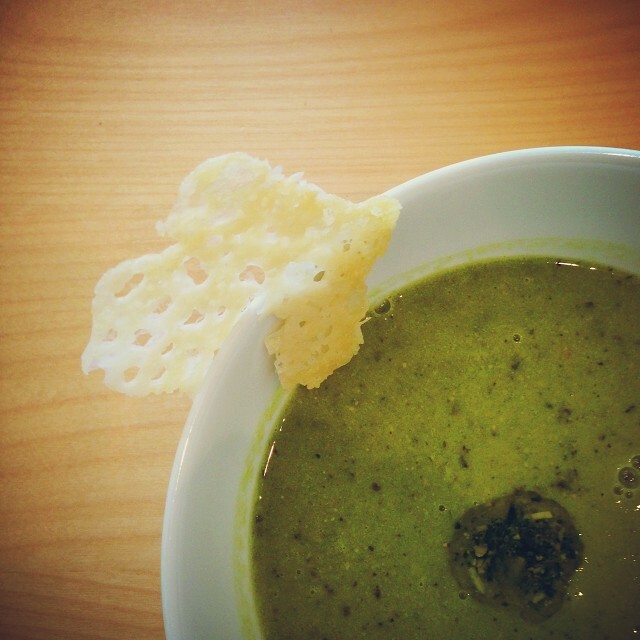 Soup - Pea & Pesto served with a parmesan crisp. Verdict - Pea-my-valentine, Pea-Souper, Yi-Pea, Love Soup, Cheesy-Peasy, Wee-pea. **Extras - Chilli and Sun-Dried Tomato Flatbread and Double Chocolate Rocky Road. Add the snipped but whole spring onions. Blend the soup while adding the pesto.